Takeaway cups = bad…. But you knew that already. But maybe you didn't consider glass as a reusable alternative? Unlike plastic reusable cups glass is far less permeable and so doesn't ever become tainted with the taste, smell or germs of whatever you put in it - even a turmeric latte will leave no trace... now that's just magic! Plus glass is made from sand, not oil! SoL glass is also extremely durable, containing a high percentage of borosilicate, making it strong, lightweight and 100% chemical free, as well as being microwave and dishwasher safe. YES, YOU CAN PUT IT IN THE DISHWASHER!!!! Praise be! 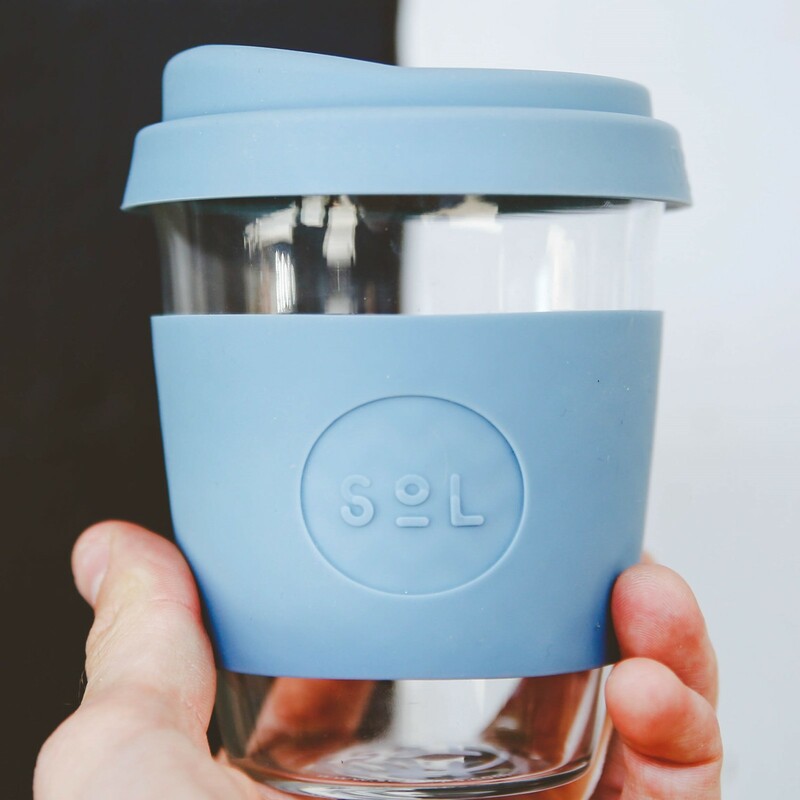 Each glass has a matching silicone sleeve and lid (BPA free). It feels lovely, keeps your fingers cool and your drink hot plus look at those colours!